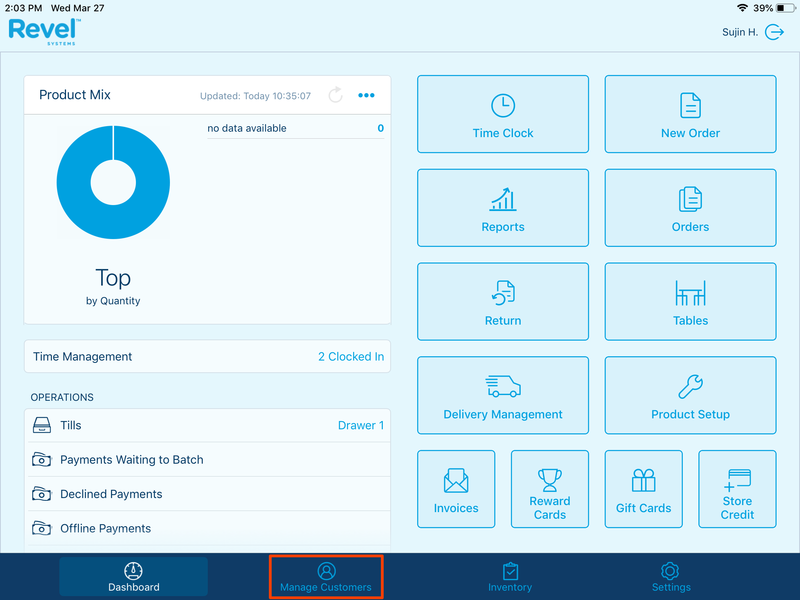 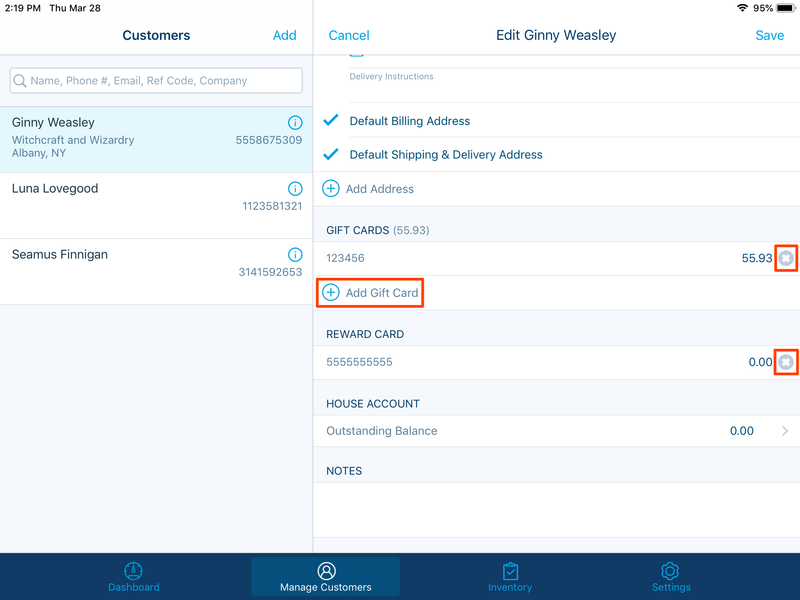 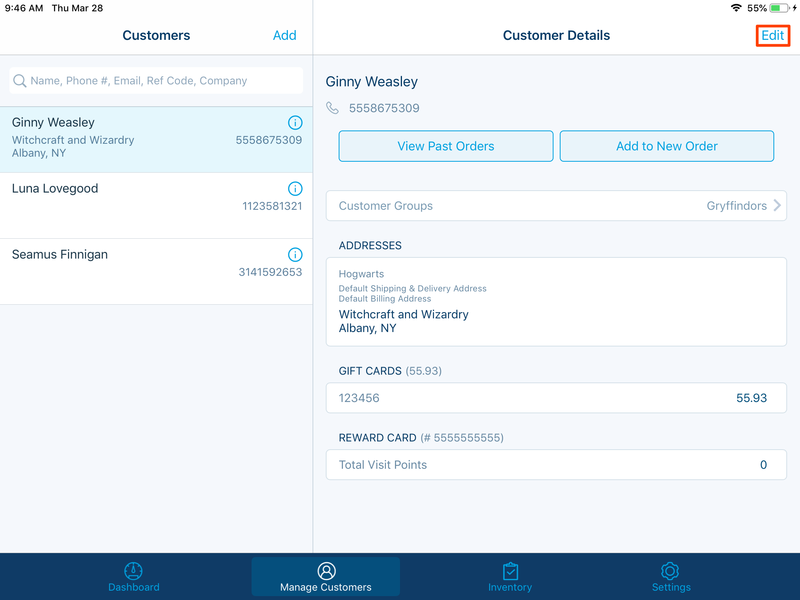 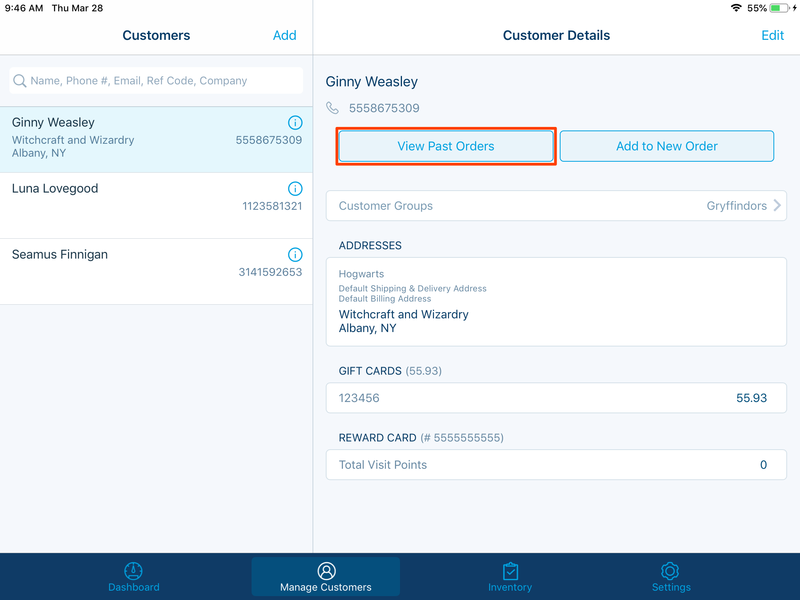 With Revel, you can create and edit customer records directly on the Point of Sale. 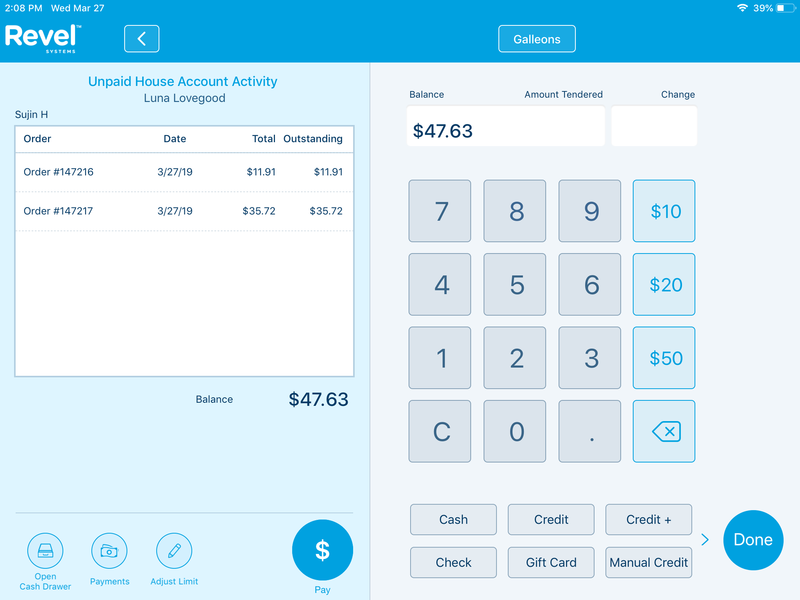 You can also track and view a customer's purchase history, gift card balance, rewards balance, or House Account balance on the Point of Sale. 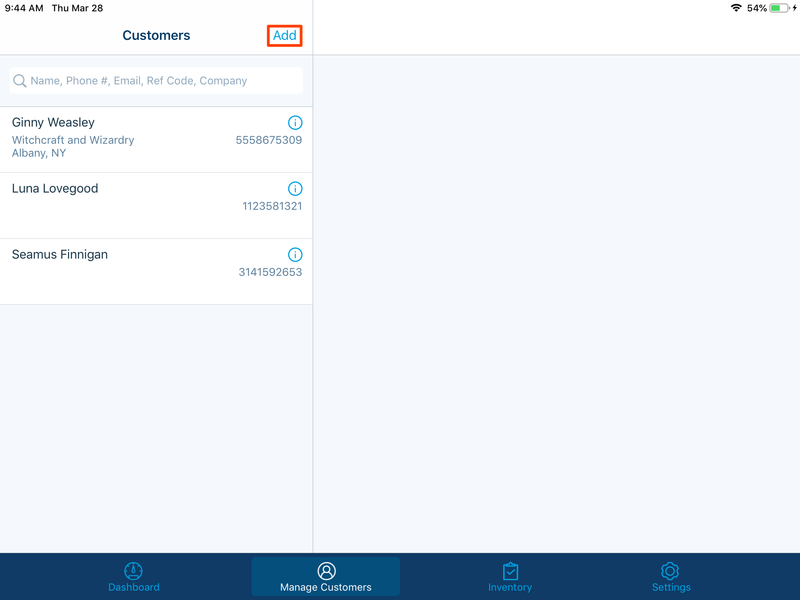 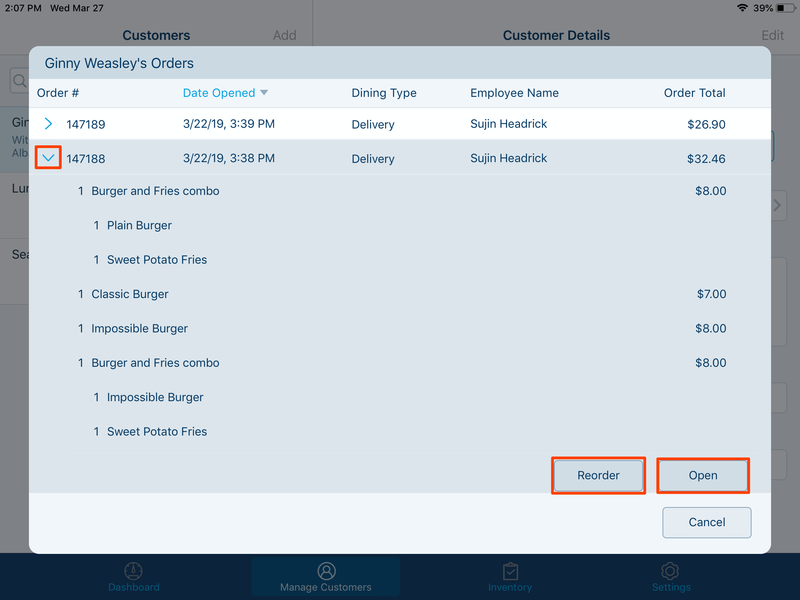 Open a new order by tapping on a table or bar tab. 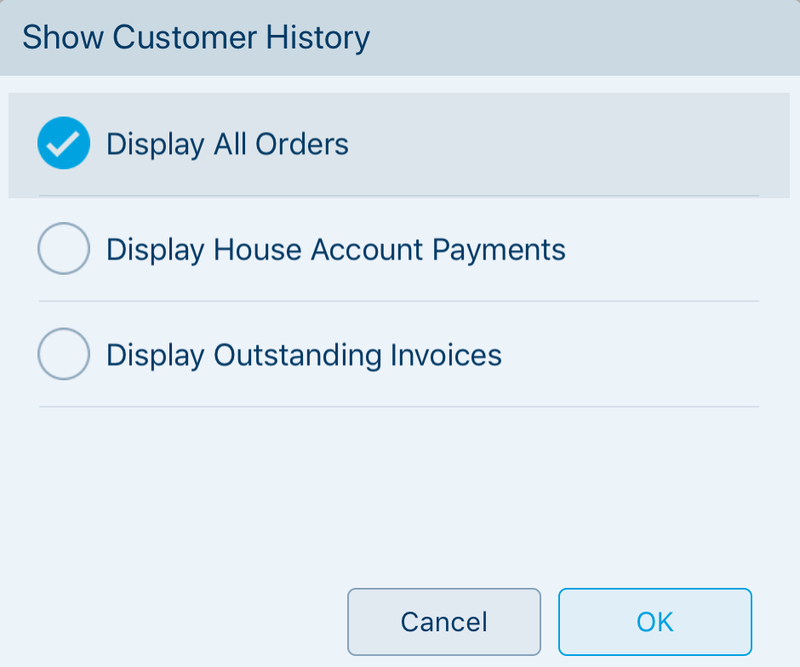 You can edit a customer's information on the Point of Sale in two ways: through Manage Customers and through New Order. 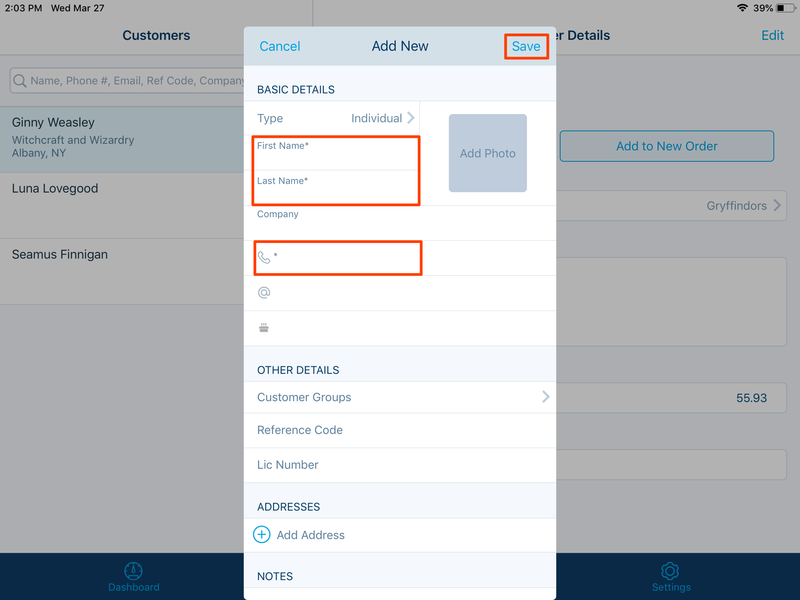 To edit basic details such as name, phone number, or email, locate the correct field and adjust the information. 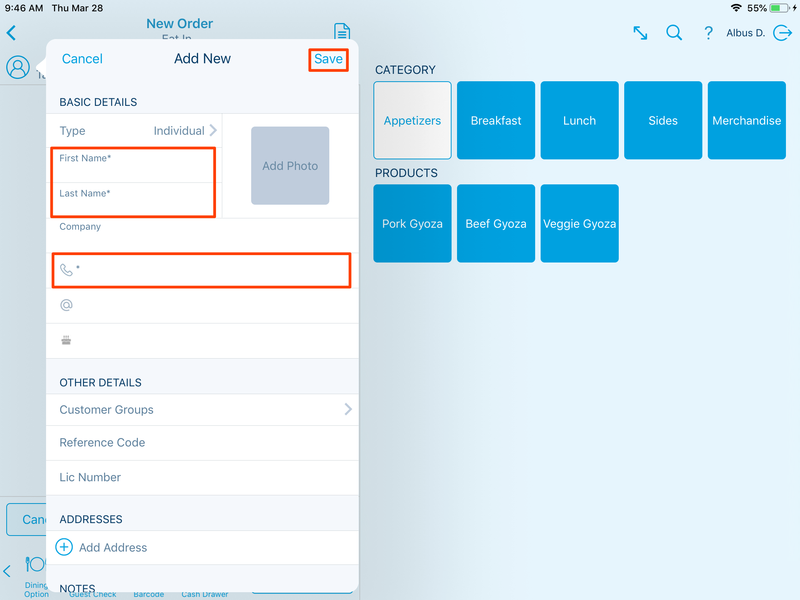 After editing, tap Save in the upper right corner. Tap Cancel to exit the Edit Customer screen without saving any changes.